It’s been a while – so I’m pleased to say I’m back in Covent Garden. Not a moment too soon. 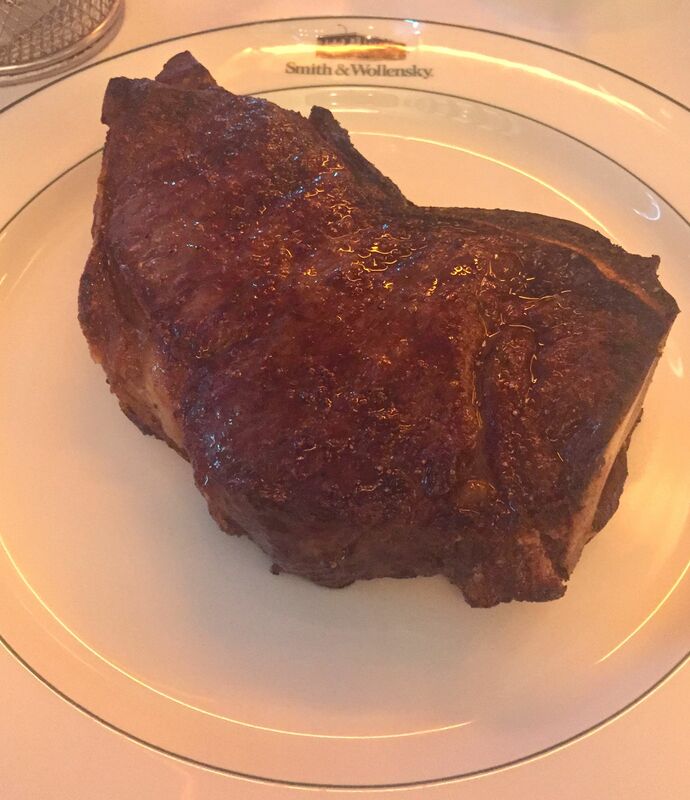 Tonight I’m testing out the freshly opened Smith & Wollensky (six weeks old on the night we went). 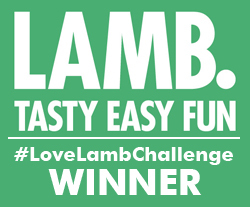 The name is said to have been selected randomly from a list in a telephone directory in 1977 when the Smith & Wollensky brand was created and their first restaurant opened in New York City. There are now nine branches across the States and it’s certainly about time that one opened in London. And where better than in Covent Garden, just off the Strand? 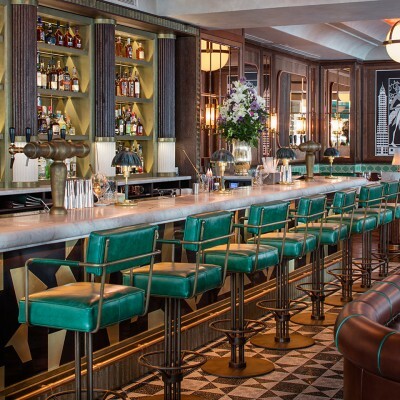 A £6 million refurb has transformed what used to be the Department of Work and Pensions offices into a stylishly welcoming establishment that simply oozes class. Plenty of leather and wood and gleaming parquet floors. Just walking into the room made me feel happy. Ordering is pretty much a no-brainer here – it has to be steak – they are all USDA prime, dry aged and butchered on site. 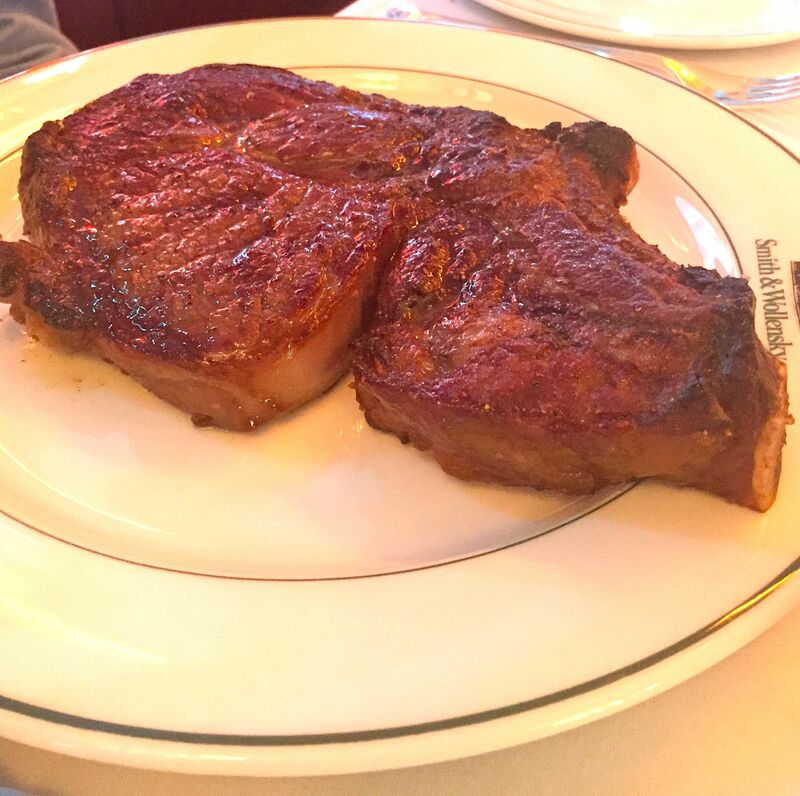 The two signature steaks on offer are the 24oz bone-in ribeye and the 21 oz New York cut bone-in sirloin. Today’s specials also included a tempting T-bone and the piece de resistance – a 42oz Porterhouse steak (meant for sharing). Wow! But first starters and it seemed logical to gravitate towards the shellfish section in anticipation of such meaty mains. Half a dozen plump oysters were served with lemon, vinaigrette and tomato sauce. Wonderfully fresh and flavoursome. 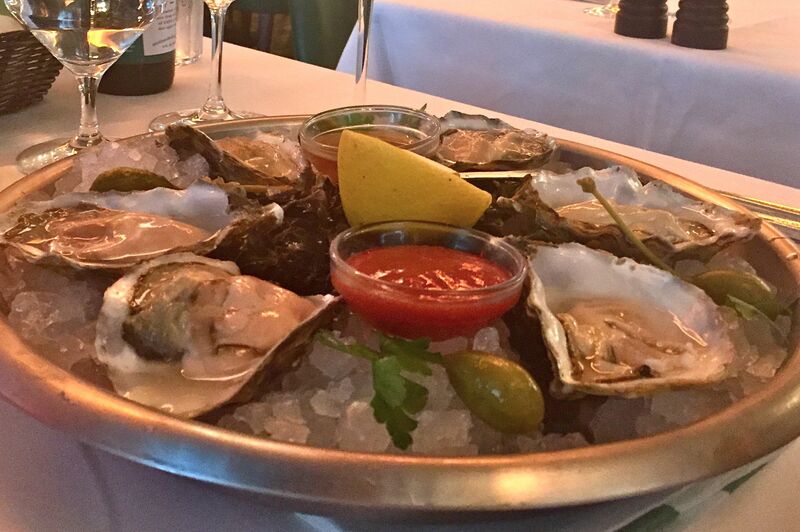 I love oysters, they feel both indulgent and light and healthy at the same time. 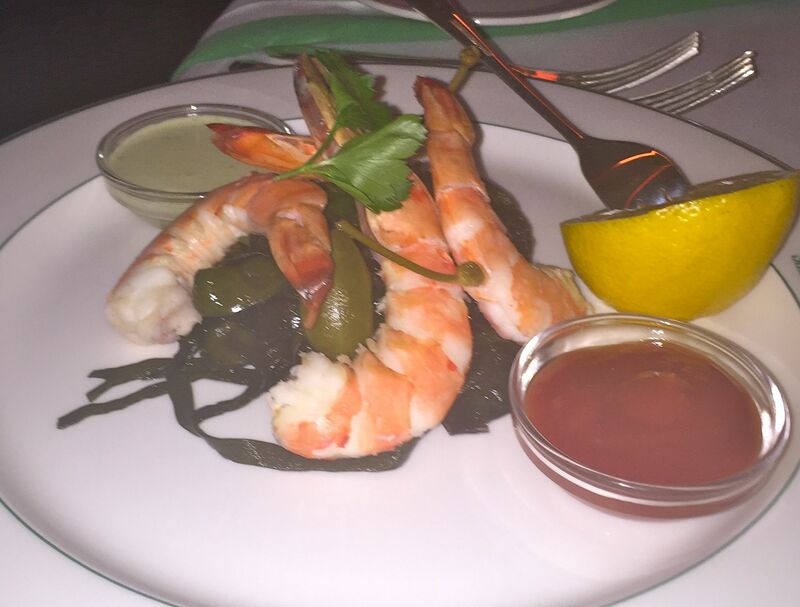 Jumbo shrimp were served simply cooked and peeled with dipping sauces. And here are our juicy steak choices – the signature sirloin and signature rib-eye, both done medium rare. Delightful. There’s a lovely selection of sides to accompany your steak. 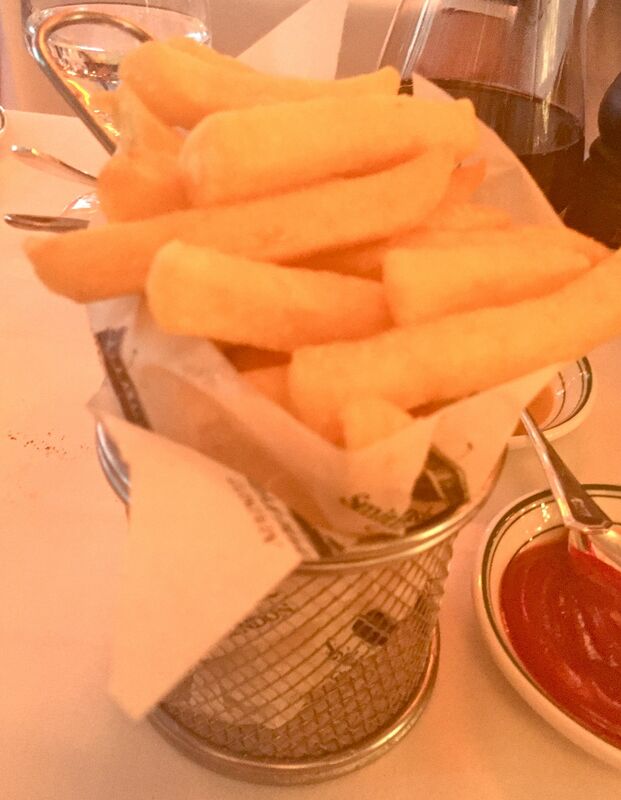 Fries were crispy outside and soft in the middle and served wrapped in paper in this lovely little basket. 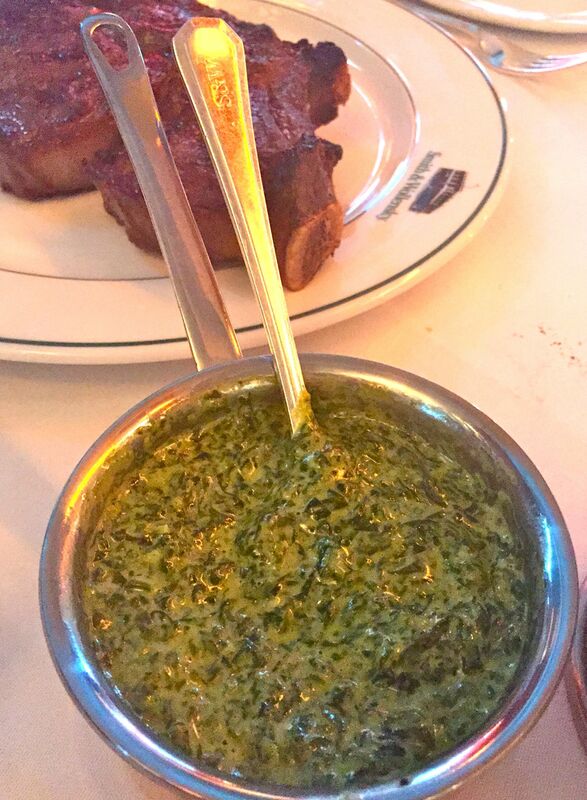 And then there’s the legendary creamed spinach. 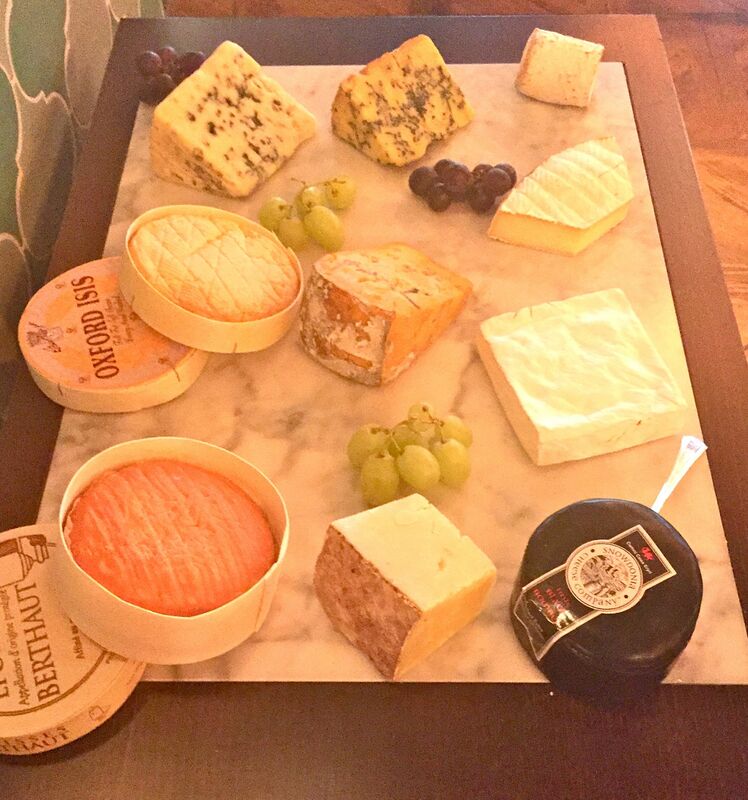 I walked past the cheeseboard on my earlier explorations so that was firmly lodged in my mind as dessert. 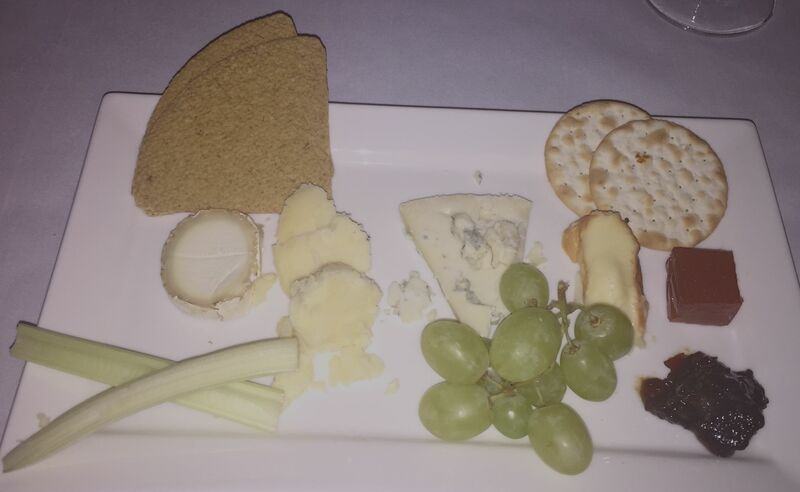 A lovely selection of French and English cheeses, I tucked into a combo of goat’s cheese, cheddar, Epoisse and gorgonzola, elegantly served with tomato chutney, quince jelly, grapes, celery and biscuits. 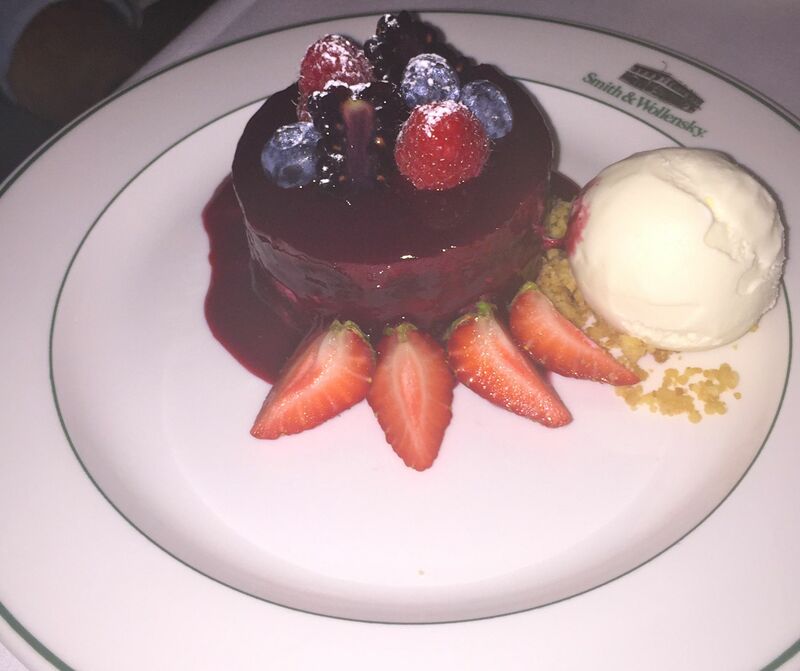 Today’s pudding special was summer pudding – a long time favourite. Packed with berries it has that beautifully unique tang and was served with extra fruit and a dollop of vanilla ice cream. Dessert heaven. I was lucky enough to be given a tour of the establishment before sitting down to dinner, which included a visit to the cold room and the kitchen. Not often you can say that! It’s great to get the whole picture. I couldn’t resist taking a picture of the amazing Porterhouse steak, just waiting for some intrepid steak-eater to order it. 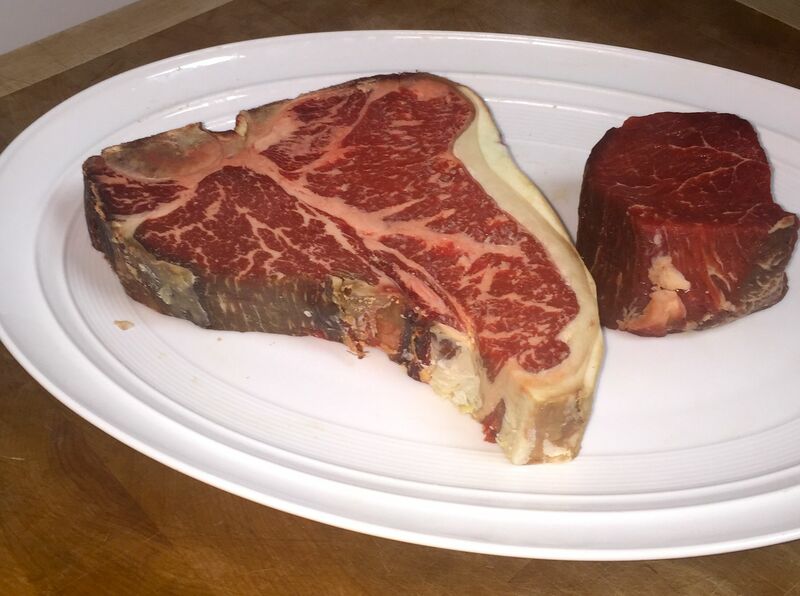 I should have put something else in the picture for perspective – this fillet looks tiny but it’s actually a large one, it’s just being dwarfed by the Porterhouse which is giant! 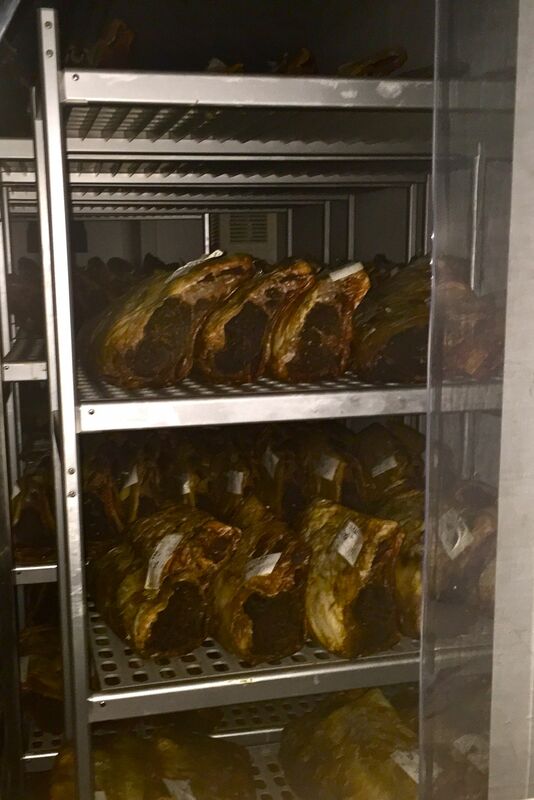 The cold room was packed with tens of thousands of pounds worth of steak, quite a sight to behold. A night out at Smith & Wellensky is a special one. You feel wrapped in tradition and love – even though in reality you’re in a brand new restaurant, it feels like it’s been there forever, the service is wonderfully warm, the decor is beautifully elegant and the ambience relaxing. And of course you couldn’t go to a better place to get your steak fix. This is the real deal with broilers equipped to cook about 140 steaks at once…now that’s a lot of steak!